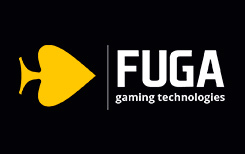 Short for Future of Gaming, very well-named Fuga Gaming is a software provider with a wide array of services, a reasonable AWP, and a God-given talent for nifty design. Just to be clear, we’re not talking CS: Go here. AWP, in case you don’t know already, is (yes, also the best sniper rifle ever) a system (Amusement With Prizes) that relies mostly on pure luck to award the player. With HQ in London, Fuga Gaming has pretty much everything you could wish for to create a solid presence for itself in the world of i-gaming. They are good friends with Odobo gaming and UMA Premium group, which as far as we are concerned are all recommendation you need. They have already set the standard by creating over 80 slots throughout their 23 years of uptime in the world of online gaming. A solid old-schooler, this company has done very well for themselves in terms of land-based gaming, and in the short term it has been dealing with online games it has already created a few quality slots. Most of them have been made for the Italian online games market, but they are also very popular around the world. Fuga Gaming has a penchant for 5-reel video slots with some kickass 3D so we heartily recommend the graphics. The fact that there are plenty of generous bonuses check out our bonus collection here) means you will definitely do well if you choose this company. Some of their best slots are Fruit-O-Matic, Just a Game, Kiss of Luck, Ocean’s Secret, and Witchcraft, although you may not have heard much about them since the company has not been around very long. With further plans of expanding into Europe and Australia, this remarkable little service is genuinely impressive. If you’re an investor, we would definitely say this company has a great future in gaming. And not just in terms of influence but also in terms of technical skills.